What exactly is your core? Why is the core so important? The core is so much more than just some stomach muscles in front of you body. I like to think of the pelvis as the center of the core and the muscles of the shoulder girdle, back muscles, abdominal muscles, obliques, pelvic muscles, hamstrings and gluteal muscles. All these core muscles should be strong and stable and work together to support your frame and allow the muscles to do their job with movement and joint support. The core plays a role in all of our postures standing, sitting, laying down on our back and stomach, and being on our hands and knees. Most of us walk around all day with our core turned off. 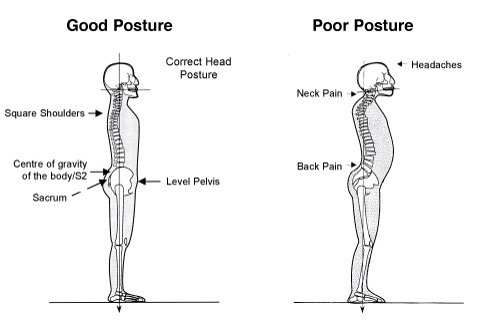 We have poor posture and weak muscles. Just take a look in the mirror and what do you see? Slumped shoulders, slanted shoulders, maybe a high hip, feet pointed out? Now, try to stand up taller, lift that chest off your pelvis. Looks better? Now, how do you get that lifted look? You have to first become aware of your postural habits and how your body presently moves….then start applying some changes. The best program on the market for body awareness is FOUNDATION TRAINING. I say this about FT pretty much everyday because I know it works. Foundation Training will turn your body awareness on…then you just have to apply the exercises into your daily routine. Foundation Training is going to strengthen muscles to help keep that rib cage lifted of your pelvis. Foundation Training is going to stretch those hamstrings and hip flexors so that you can get some mobility in your hips. Foundation training is just going to make you feel better! Now, do not get me wrong…I still believe in a short work out. I prefer Bodyweight style… Some push-ups, squats, different kinds of planks, mountain climbers, step ups, jump jacks, rows… So many to choose from. All the above exercises work muscles of the core! 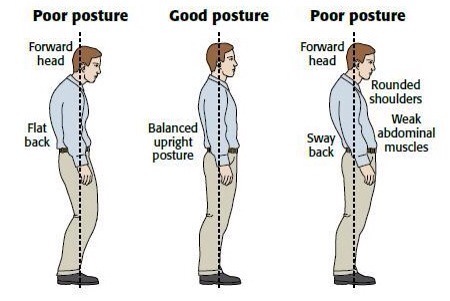 The key is to do them with proper posture…learn FOUNDATION TRAINING and you will know what good posture feels like. This entry was posted in Foundation Training and tagged back pain, bodyweight exercise, core, Foundation Training, hip mobility, pelvis, posterior chain, posture. Bookmark the permalink.